Initially starting with a background in sales, Saeed Anwar has been gathering experience in buying/selling homes in the GTA for over 10 years. With his extensive knowledge of the housing market, excellent negotiation, and active participation in the community, 90% of his sale leads are made through referrals. 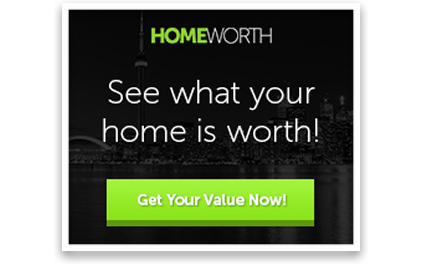 His hard work has garnered him many awards over the years and has made him one of the most trusted and well respected Real-Estate agents in the GTA. Awards such as the Top Lister at Realmax Realtron and the Top 10 Elite Program Club Members for 3 years in a row informs that you are working with the best that the GTA has to offer in Real Estate. Buying or selling, Saeed Anwar knows the GTA and will find you the right home while keeping the price in mind about the primary criteria that you have for your new home. You'll need someone to take care of the hard work involved with selling your home, from negotiating the purchase contract, overseeing the inspections, arranging finance, Anwar will take care of you from the start to the finish. In addition to buying and selling houses, Anwar offers many other services including: Housing Consultations, Home Renovations, First-Time Buyer Orientations, etc. Anwar is an expert in Housing Consultations. Many of the buyers don't envision the house the way that you do. Anwar can effectively help with staging the home, making minor repairs/improvements, or even changing the colours to gain the interest of potential buyers. This can be the difference between a house that sits on the market or one that is sold fast! Guided by core values of trust, respect and integrity, Anwar aims to deliver a superior service and make your experience a rewarding one. The hundreds of extremely satisfied home buyers will agree that Anwar has an energetic personality and combines his expert knowledge and patience to deliver outstanding results. Expectations are always set high for himself and the results are always overachieving and are met with overwhelming positivity. Nothing is ever impossible for Anwar. With his knowledge and expertise you can always expect the best and much, much more!